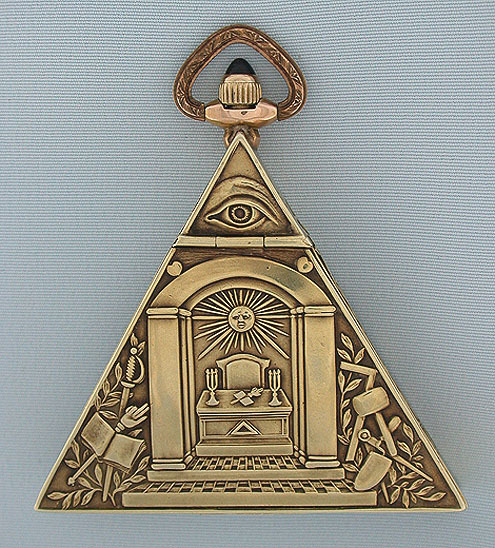 Fine Hiram 14K gold Masonic antique pocket watch circa 1935. 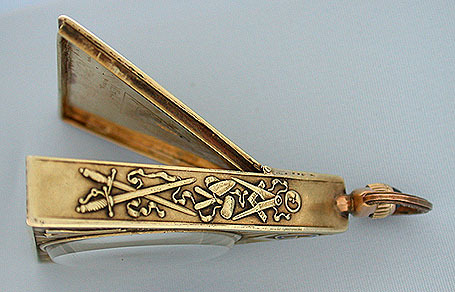 The triangular case decorated all over with Masonic designs. 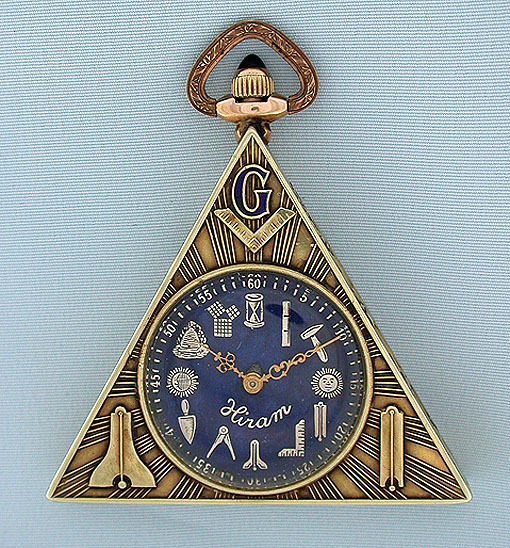 Blue dial with Masonic symbols in place of numbers. 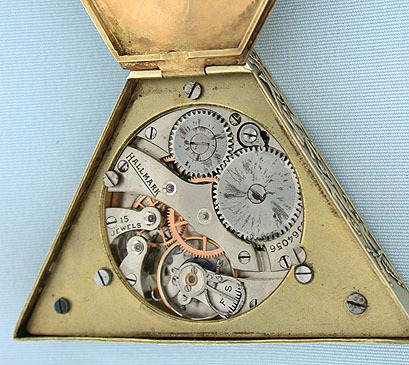 Nickel 15 jewel movement with slight stains on winding wheels. Handsome.